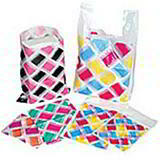 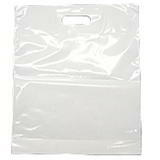 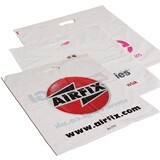 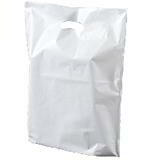 Wholesale plastic carrier bags with big, big savings! 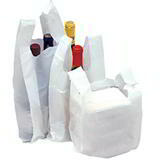 You won’t find a cheaper retail packaging solution than plastic bags, but that doesn’t mean it has to be low on quality! 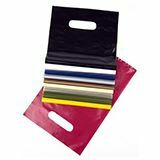 Just take a look at the huge range we have available for immediate dispatch and rapid delivery and you may be surprised to discover what you can get for your money. 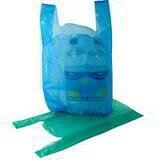 And whether you want an everyday, economic plastic bag, a superstrong varigauge carrier bag or one of our ecofriendly degradable plastic bags, you’ll get even better value if you take advantage of the generous discounts you can get on bigger orders, with up to 20% off the starting price! 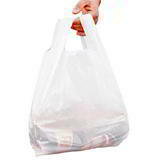 There's still a demand for strong and cheap plastic carrier bags among retailers, and you won’t get them faster or better value than at Davpack. 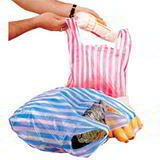 With patterned carrier bags, striped carrier bags and basic white plastic carrier bags in a range of styles ideal for all kinds of groceries, supermarkets, takeaways and off licences, we’re the retail packaging suppliers of choice for hundreds of stores right across the UK. 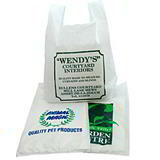 You’ll also find strong varigauge bags and fashionable patch handled carriers used by clothes and gift shops. 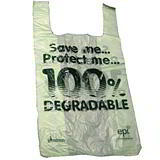 While the relative merits of different kinds of retail shopping bags continue to spark debate, Davpack’s biodegradable carrier bags will ensure your conscience is clean. 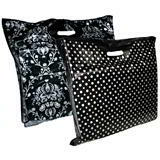 And don’t forget to check out our custom printed carrier bags section, where you might find having your very own branded carriers doesn’t cost as much as you think!